Apologies to the vegetarians in advance, I love burgers. And, bacon. Today, I am immensely grateful to have been introduced to the absolute best burger in Helsinki — Roslund Butchers did not disappoint. 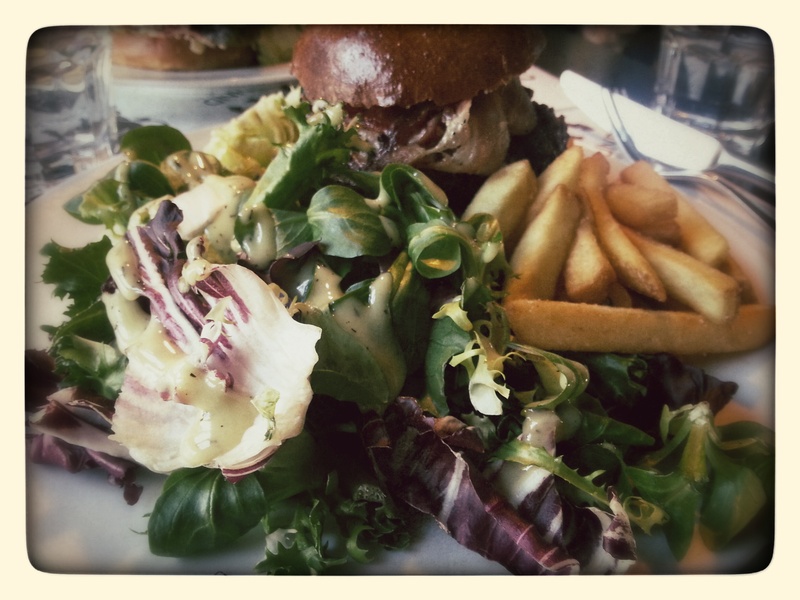 Not only was the meat fresh and juicy and perfectly cooked, but the bun was light and flaky (not normal for Finnish bread), the salad was insanely gorgeous and big, and the fries were that perfect blend of crunchy outside / soft inside. Oh…and did I mention the bacon? Thick sliced, slightly smoky and perfectly cooked as well. I’ve died and gone to burger heaven (nearly). It wasn’t terribly cheap (~€15 for a burger and salad; fries are extra but worth it), but it wasn’t insanely expensive either. For taste, quality and freshness, it was more than worth it. Outside the market hall where this particular branch is located, you can smell the lovely deliciousness of Roslund burgers. Follow that scent — you won’t be disappointed. As an American and a Texan in particular, I miss fresh, quality beef, burgers most of all. This was truly perfect. Not too much burger, not too many fries, and not too much bun. I’ll be back to Roslund. Frequently, something tells me.